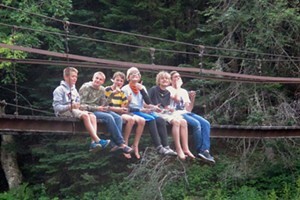 Twisted Tale | The Kids Beat | Kids VT - small people, big ideas! Parents may know Colchester author Mark Pendergrast for his nonfiction exposés — he's written for the Wall Street Journal and New York Times, and published books such as For God, Country & Coca-Cola: The Definitive History of the Great American Soft Drink and the Company That Makes It. But kids might be familiar with his more whimsical children's books — like 2010's Jack and the Bean Soup, billed as a "fractured fairy tale and elaborate fart joke." 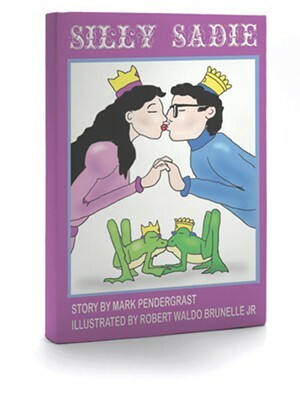 Pendergrast's newest work is Silly Sadie, a Frog Prince story gone awry. Each page of text is accompanied by a black-and-white illustration from Jericho artist Robert Waldo Brunelle Jr., making it a quick, humorous read — even without the fart jokes.